Looking for that dream marquee to top of an event? We hire out and sell a wide range of marquees. A marquee is an ideal venue for a wedding. Flexible enough to accommodate small or big wedding parties, and with plenty of optional extras, you can create a wedding venue that suits all your needs. 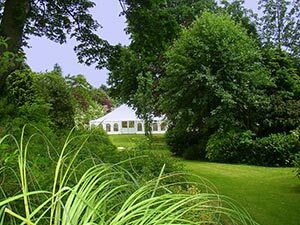 For the best wedding marquees Suffolk brides and grooms-to-be can get in touch with our team here at Weatherill Brothers on 01953 882 394. One of the big perceived drawbacks of a marquee is that you can’t control the atmosphere inside. But with air conditioning and heating units available, it’s easy to create a comfortable environment for your guests, no matter what the weather. Our quality marquees are designed and built by our team of experienced marquee craftsmen. So you can rest assured that they are 100% waterproof no matter how hard it rains (and in the unpredictable British summer time you can never be too sure). One major advantage of a marquee is that the venue can adapt to suit its surroundings. If your venue has beautiful views, we can open up the sides to bring the outside in, using natural light and ventilation to help brighten up the marquee.